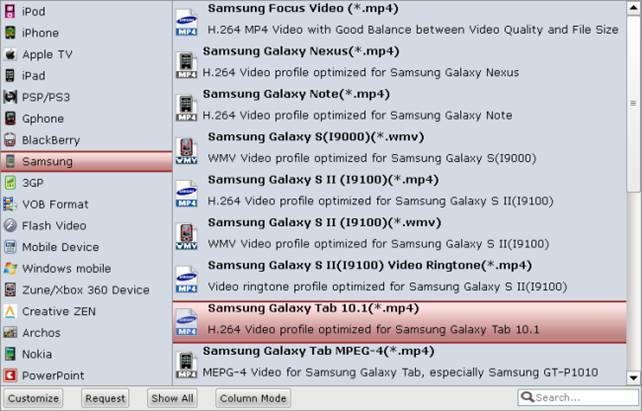 How to download iTunes 1080p/720p M4V videos to Galaxy Tab 2 10.1? Home » How to download iTunes 1080p/720p M4V videos to Galaxy Tab 2 10.1? So you just have a Samsung Galaxy Tab 2 10.1 on hand? Wanna watch your video contents purchased from the iTunes Store on its brilliant 10.1-inch display? 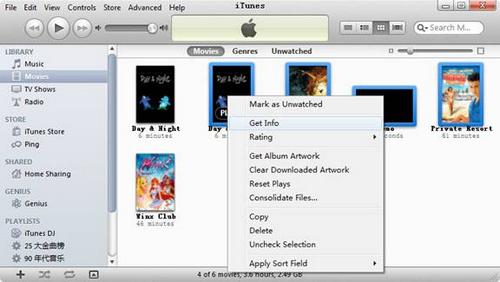 It is well known that iTunes movies, videos and TV shows are all limited with DRM protection. In attempting of viewing iTunes contents on android tablets, you need firstly remove DRM, and then convert iTunes 1080p/720p M4V videos to your Android tablet supported file format like MP4. The following guide demonstrates how to download iTunes video to Galaxy Tab 2 10.1 in simple steps. 1. Run iTunes, and switch to “Movies” under “LIBRARY”. 2. Select the movie you want to convert for watching on Galaxy Tab 2 10.1, then right click and select “Get Info”. 3. In the “Multiple Item Information” window, switch to “Options” tab, find “Remember position” and select “No” from its drop-down list. Click “OK”. 1. 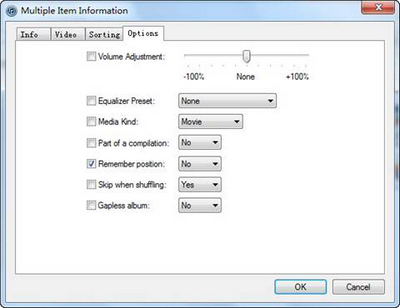 Run iTunes Video Converter for Galaxy tablet 2 10.1, and click “Add Video” button to load your iTunes movies, or TV shows. Or you can directly drag and drop iTunes files to the program. To play iTunes movies on Galaxy Tab 2 10.1/transcode iTunes moives for Galaxy Tab 2 10.1 slate, you should choose “Samsung Galaxy Tab 10.1 (*.mp4)” preset under “Samsung” option as target format. 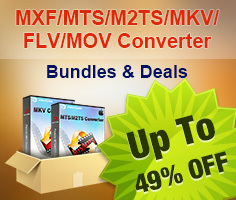 More than exporting files for Galaxy Tab 2, the Pavtube iTunes Converter also offers plenty of presets for other popular tablets and smartphones, including but not limited to Motorola Xoom, PlayBook, Kindle Fire, Nook Tablet, Asus Transformer Prime, Acer Iconia, Droid X and more. Click “Start Conversion” to encode iTunes video to galaxy tab 2 10.1 for playback. When the conversion is completed, click “Open” button to get the converted mp4 files for your Galaxy Tab 2 10.1 slate. How to put and play 1080p Blu-ray movies on Samsung Galaxy Tab 2 10.1? How to copy/transfer/download Blu-ray/DVD Digital Copy to computer?